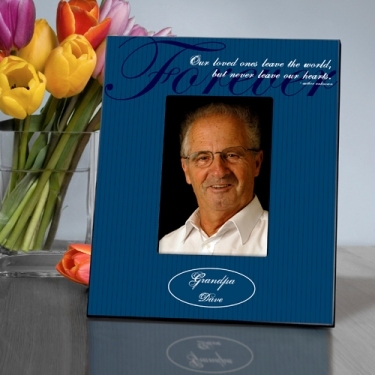 This frame features a touching quote and measures 8" x 10" and holds a 4" x 6" photo. The first line can be personalized with up to 20 characters, and the second line with up to 15. Quote: Our loved ones leave the world, but never leave our hearts.